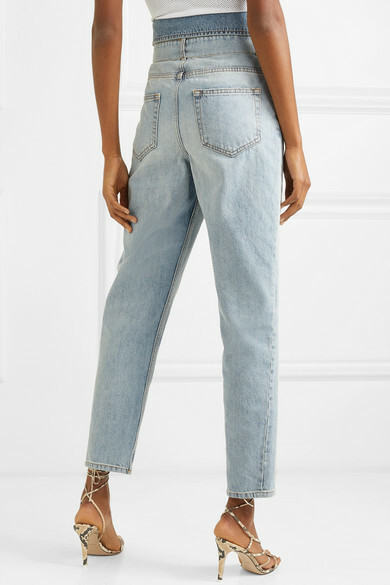 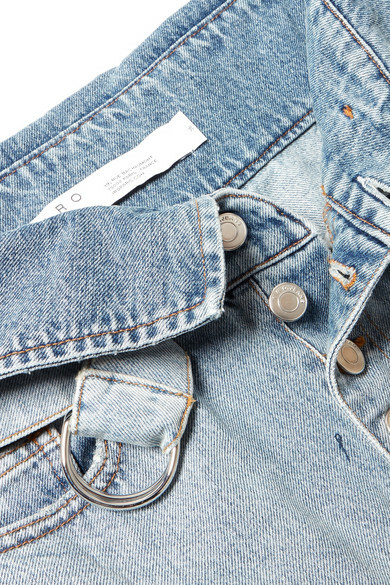 IRO's jeans have a fold-over waistband and a row of silver buttons at the front – detailing reminiscent of '80s styles. 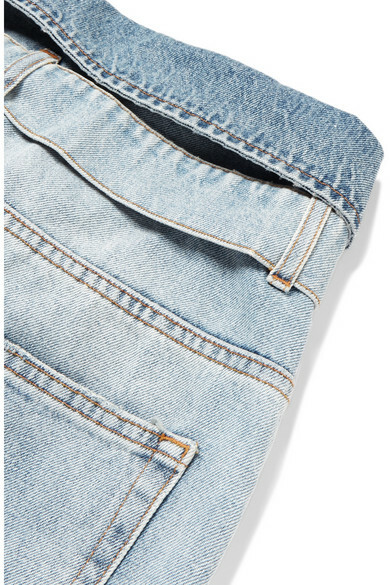 Made in Italy from rigid denim that's lightly faded, they're cut for a loose fit but taper towards the cuffs. 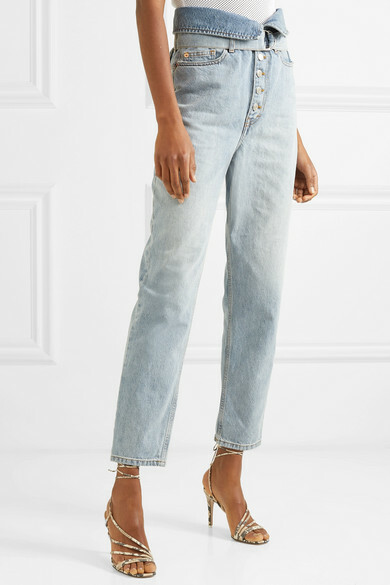 The pale blue wash works best with white sneakers or boots. 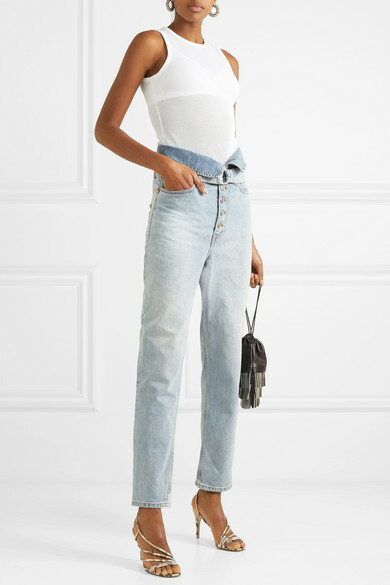 Shown here with: Tibi Bodysuit, Alexander Wang Bucket bag, Attico Sandals, Cosabella Bra, Saint Laurent Earrings.